Home » To Whom does the Great Patriotic War Belong? To Whom does the Great Patriotic War Belong? Among many contrasting groups of Russophiles in Serbia, the dominant two confronted groups are, on the one side, those who recognize only the Russian Empire, and therefore Russia only up until 1917, and on the other hand, those who from Russia’s history recognize only the Soviet period from 1917 to 1991, so they could actually be called “Sovietophiles”. On the period of the 1990’s to the Russia of Putin’s era, thoughts are also divided, but they are not relevant for this topic, so I will not refer to them now. The main stumbling stone between these two factions is the period of World War II, the Eastern Front or easily, as Russians say, the Great Patriotic War. On the one side, the “Tsarists” disaffirm its Russian component, and don’t differentiate it from the whole period of Bolshevism in Russia and USSR, while the other group usurps it and negate the Russian component as “inferior” in relation to the so-called “Soviet” component. Therefore, it would be practical to answer this question in order to avoid any future disagreements and to conclude the answer once and for all. In modern day Russia, there is no dilemma: it is Russian. But in Serbia, there are ongoing discussions about it, albeit very unnoticed, but still present. The main reason is that Russians look at that period as a state-founding experience and in a patriotic way, while Serbs purely ideologically, either through the position of radical anti-communism or from the position of Bolshevism-Stalinism. Therefore, blinded by ideological factions and fanaticism, they neglect the essence and state of affairs at hand. For those who do not know, “Great Patriotic War” is the term used in Russian Federation and the other states of the former USSR for the military operations conducted during World War II from 22 June 1941 to 9 May 1945 on the Eastern Front. The term was coined after the German attack on the USSR, and had the goal of motivating the population to defend the Soviet state. Before, the term “patriotic war” was used for the French invasion of Russia in 1812. 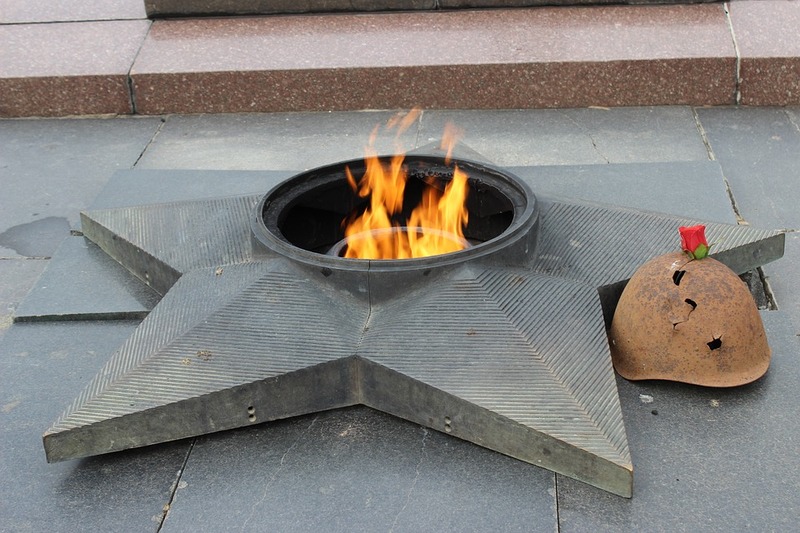 During the war in 1942, the decoration Order of the Patriotic War was introduced, which was awarded to many Soviet soldiers and officers for “heroic act done in the fight for fatherland.” During the Great Patriotic War, 6.8 million Soviet troops were killed and 4.4 million died in captivity. The total losses of the Soviet Union amounted to 26.6 million people. Indeed, Lenin and Stalin's regime persecuted the Russian Orthodox Church. "In 1937 alone, 162,500 members of the Russian Orthodox Church were arrested, and 89,600 of them were executed. Russia, before the arrival of the Bolsheviks had 80,000 churches and chapels, and by the eve of the Second World War only around a hundred remained. Russia had a thousand monasteries, all of which were closed. When Stalin decided to turn to the Church for help in the Great Patriotic War, only three bishops weren’t being held in custody”. These were the words of Alexei Komov, one of the leaders of the World Congress of Families, in an interview for the Serbian magazine "Geopolitics" from September 2014. These words depicted the whole "paradox" of Stalin's Godless struggle. Only a few years after the violent persecution of the church and the faithful, he, the great Stalin, the man of steel, had to return to the same church and clergy, to ask for help in saving the Fatherland. He realized the Russians are not willing to fight as hard for a socialist utopia and "international workers' solidarity", which they hadn’t fought for ever before, as they are for Holy Russia, the Motherland, the Homeland, Divine Russia, like they had many times before. Ordinary Russians, non-communists, did not participate in the persecution of the church, but later constituted the main force of the Soviet Army in this great conflict. And so, he returned the Russian soul to the Russians. At least for a few years, Russians were more Russian than they were Soviet. That moment, that event, the "fall" of Stalin before Christ, is the turning point of the war on the Eastern Front. Stalingrad, Kursk and other battlefields only reflected this event. Thus, the Russian soldier was baptized again, prayed to God, went to the liturgy. Throughout Russia, once again churches and monasteries were opened and erected; the bells were ringing because the Fatherland was in danger. Day to day, from one battle to another, from defense to counter-attack, from withdrawal to spearhead, the Russian soldier hounded the enemy out of his homeland in the same manner as his glorious ancestors did with the Swedish, Polish, Lithuanian, German, French and all other occupying armies in the past. He returned to the ways of God, and at the last moment, God looked back at him and brought salvation against certain doom. If the Soviet Union was a punishment for the Russian people because of the Empire’s downfall and the murder of the imperial family which led to fall from grace and Godlessness, the Great Patriotic War was the last wake-up call which paid off. Thus, Hitler, the Nazis and the Germans in general and all the other European nations that sent their divisions to the Eastern Front were "liberators" just as much as all the previous expeditions to Russia, individual or collective. So, in the end, let me answer these two “confronted” groups of Russophiles in Serbia: the Great Patriotic War, was Russian, as much as the battles of Alexander Nevsky, Dimitry Donskoy, Kutuzov, Suvorov, Brusillov and others. The uniforms, badges and flags were a simple "choreography" and iconography, underneath which the Russian heart beat and Russian soul resided, which was aware of God, the Fatherland and Holy Russia. After all, did not the Serbs, in the service of the Austrian monarchy, fight and die for the independence of Serbia for centuries, and even freed it several times, while wearing the insignia of another state, under foreign flags, but with clear goals and visions before their eyes? The song "A Serb gladly goes to army" refers exactly to the particular example of Serbs from the Danube monarchy, fighting for that monarchy, and simultaneously, for their occupied homeland. The case was different, but ultimately similar with the Russians in World War II. It may not have been their state, but through the backdrop of this state, they fought for their homeland, because the Russian Fatherland is constant and eternal, and states on Russian soil may change or disappear. They come and they go, but the Fatherland prevails. Therefore, the Great Patriotic War can’t be purely Soviet. Why? The answer is simple. "Communists ordered to abolish the Fatherland and nationality. The workers have no country. They can’t lose what they don’t have." These are the thoughts of Marx and Engels in the Communist Manifesto. And if the followers of Marxist-Leninist doctrine believe their every word (implying they mean it), then they can’t have a homeland and therefore, can’t lay claim to the Great Patriotic War.